Just to let you know that I will be talking to Rick O’Shea on RTÉ’s Poetry Programme. The show goes out at 7.30pm this Saturday 23 April on Radio 1. In this week’s programme – just ahead of ANZAC Day – Australian poet Robyn Rowland will read from her collection This Intimate War:Gallipoli/Çanakkale 1915. You can find out more about Robyn here. 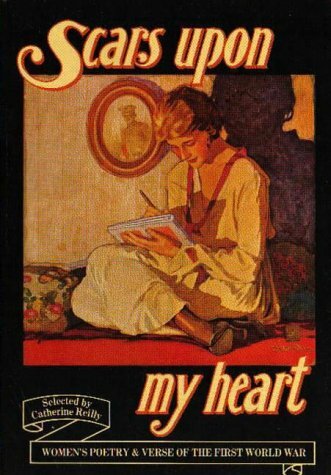 I will be taking a look at an anthology of women’s verse & poetry from World War 1 – Scars Upon My Heart. The interview briefly looks at the range of work, women’s roles in WWI and we read three of the poems from the anthology. The collection was edited by Catherine Reilly and first published in 1981 by Virago. It was republished in 2006 and is available to buy online: Virago imprints: here . Amazon: here . I hope you will listen in – I’d love to get some feedback! If you can’t catch the programme live on Saturday, you can always listen back on the RTÉ Radio Player See you on the radio!